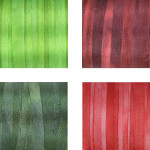 Now there are even more shades of 2mm-wide hand-dyed silk ribbon in stock. 13 beautiful ribbons have been added recently. As of now our 2mm-wide ribbon palette includes 33 shades in total. It is quite a number as the ribbon is not commonly available in this width. It fits perfectly all sorts of miniature embroidery, embellishments, and decorations. Click on the link to go to the 2mm ribbon page on our online store. Note for eBay and Amazon regulars, we do not sell all the ribbons in there, only the most popular shades go there. For the full palette please visit our website. This entry was posted in Site News on 17th April 2015 by Zinaida. Happy New Year everyone! We hope it’s a good one. We’re back with thrilling news. 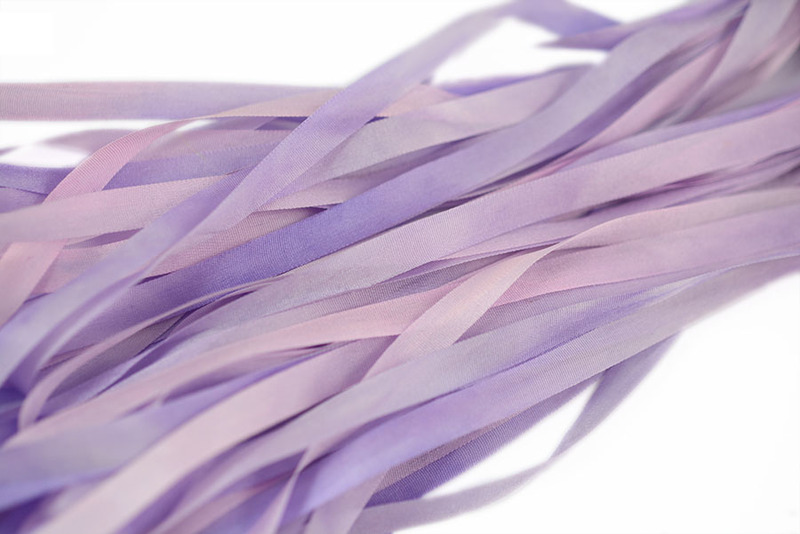 Now we offer silk ribbons in three popular widths! This entry was posted in Site News on 9th January 2015 by Zinaida. As the Christmas time gets closer and closer every day, all our thoughts are about festive decorations, tree ornaments, and presents. 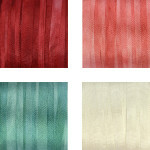 To aid your Christmas preparations we have combined the most popular seasonal 4mm wide silk ribbons in bundles. 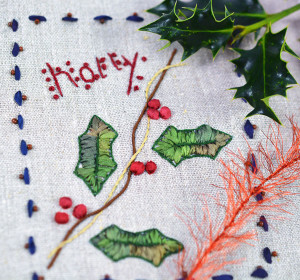 Just what’s needed for stitching poinsettias, your lovely Christmas trees, holly leaves, or any other festive foliage you may fancy. They are also work nicely as gift wraps for small sized boxes or packs. Finally, they might come handy to tie in a bow and attach to a Christmas card, a party invitation, or a place card. The bundles contain 12 meters of ribbon in total (3 meters of each colour). Follow the link to find out what ribbon shades each bundle includes. This entry was posted in Site News on 27th November 2014 by Zinaida. 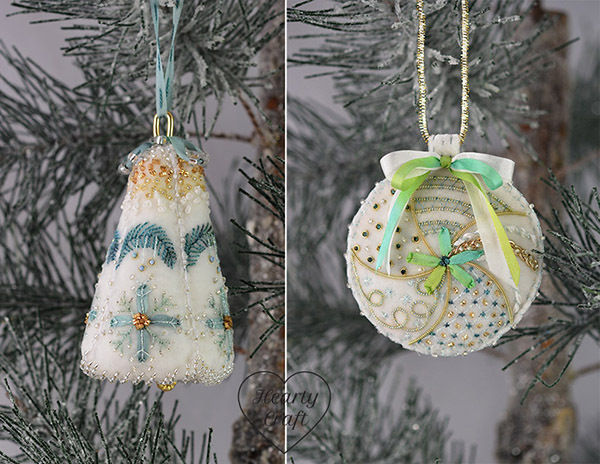 Absolutely stunning Christmas Ornaments Kit is now back in stock! This entry was posted in Site News on 18th November 2014 by Zinaida. We keep dying ribbons in new shades and today we are happy to introduce five new beautiful colours in our range of 7mm wide silk ribbons! This entry was posted in Site News on 25th October 2014 by Zinaida. 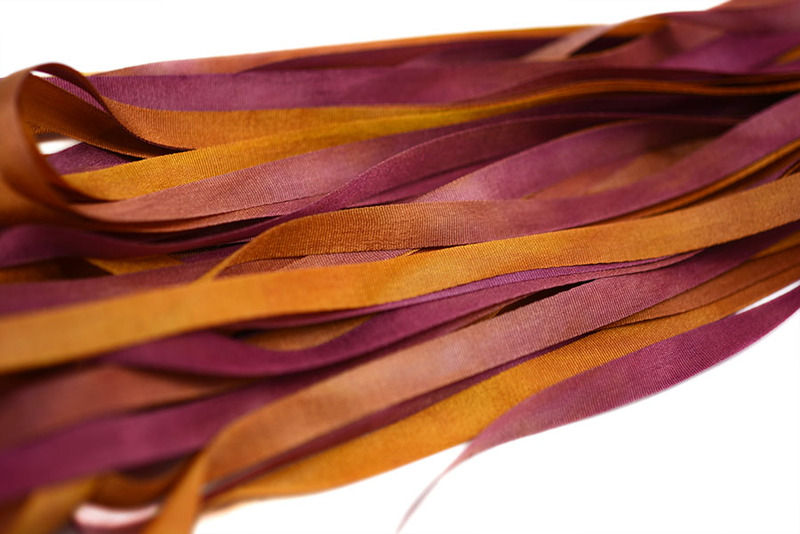 We’ve been asked a lot recently if we stock wider silk ribbon, so we’ve been very busy dyeing new ribbons. Now we’re happy to introduce new fantastic colours in our range of 7mm wide silk ribbons! This month twelve new juicy shades are available in 7mm width. There are deep and reach autumn shades in orange and vinous reminding of autumn colours, as well as the finest pastel blues or hot pinks for flower projects. This entry was posted in Site News on 24th September 2014 by Zinaida. Site News: New Projects and ‘How To’ Tips. Have you been an holiday this summer yet? We have! That’s why there’s been a while after our last newsletter. But now we are back and proud to present you the new issue. 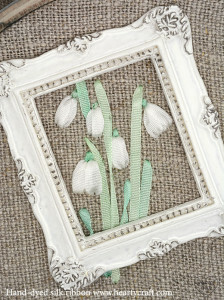 Enjoy with our fresh silk ribbon embroidery tutorials, projects and tips! More options in our web store. Now there’s no need to use a calculator to figure out ribbon and delivery cost in your currency. The website does all the menial job for you! If it doesn’t show your currency automatically, you can always switch it in a panel on the top right of the shop page. We support six currencies to start with, so now shopping is even easier! Haven’t given a go stitching ribbon roses yet? Here is a new project with the popular technique of spider web’s weaving! Create a beautiful cushion with variety of outstanding delicate roses, and no one will ever believe it that it was your fist piece in silk ribbon embroidery. The project is quick, easy, and absolutely suitable for beginners. Follow the link for a step-by-step guidance on how to make all the stitching. This entry was posted in Site News on 21st August 2014 by Zinaida. 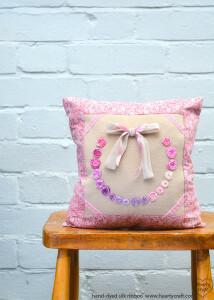 Site News: Cushion Project and ‘How To’ Tips. Time flies indeed! Proud to present you new issue of our fortnightly newsletter with fresh silk ribbon embroidery tutorials, projects and tips! More options on our web store. Due to popular demand, we are now stocking shorter skeins of silk ribbon. Most colours are available in 3 or 5 meter long pieces. Regardless of the length all skeins are beautifully packed, which would make a perfect gift for your crafting friends! 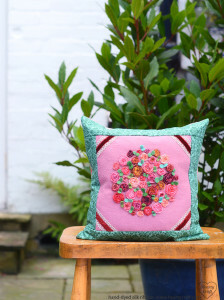 We’ve completed the series of tutorials covering this lovely cushion project that would be accessible even for absolute beginners. All you need is some silk ribbon, couple of needles, and fabric. Thanks to the work being quick and easy, it could be perfect project for a weekend. The tutorial consists of two parts. Part one covers embroidery on the front, and the second part is about sewing the cushion itself. If you don’t fancy the idea of making a cushion, the embroidery piece would also look fabulous on a bag or if finished as a hoop-art. This entry was posted in Site News on 27th July 2014 by Zinaida.